I’m currently somewhere over New York state, flying Virgin America back from Boston (where we had our gdgt live event last night). I only brought my iPad with me on this trip. Which is painful, because Civilization V is currently out! So, I wanted to see if it was even possible to play. Are you ready for this mark of desperation? 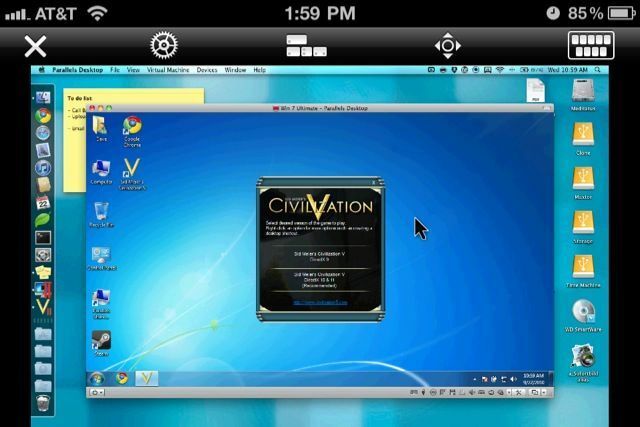 Civ V running on Windows 7. 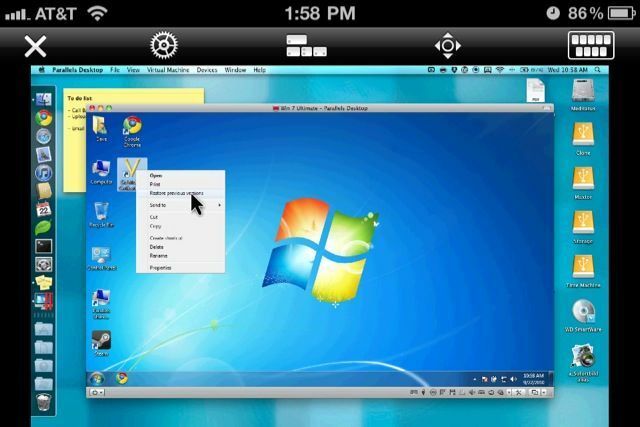 In a Parallels for OS X virtual machine. 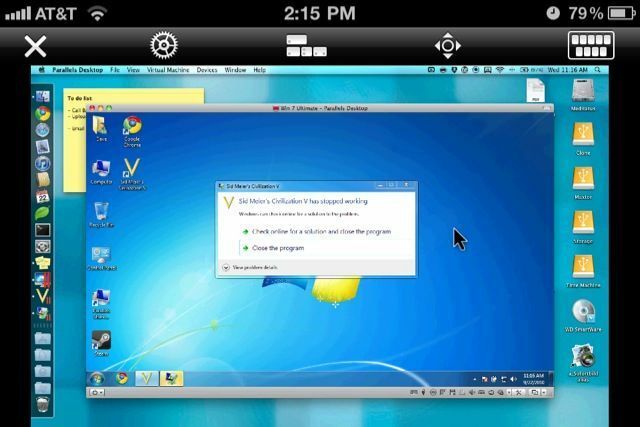 Via a VNC client on my iPhone. What?! So, what happened? 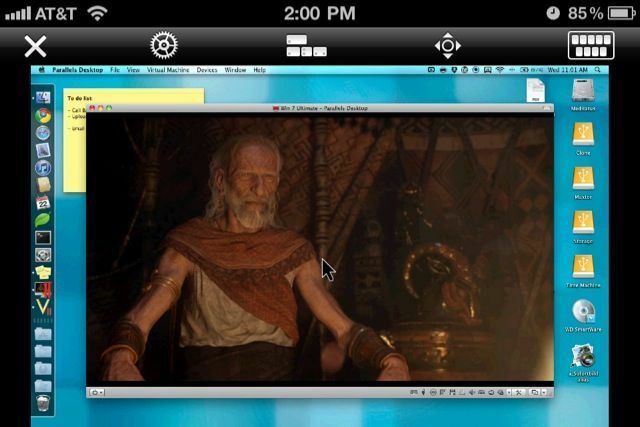 Screen shots below!